Notepad Corner: How many people have access to my Storage Unit? How many people have access to my Storage Unit? Who has access to your unit if you use self-storage? Are you moving home, and need a temporary store for some of your belongings? Many people decide to take stock of the items they own when they move home. This helps them to create less clutter in their new property. If this applies to you then self-storage may be a good idea. This gives you a place to store items until you decide whether you want to keep them or not. Of course, you can also use storage in Canberra as a regular storage option for items that you only use for part of the time; such as garden furniture. Some people are wary of using self-storage because they think that their belongings might not be safe. In this article, we are going to explain why that is not the case. We are also going to take a look at the only occasion when someone may be able to access your self-storage unit. 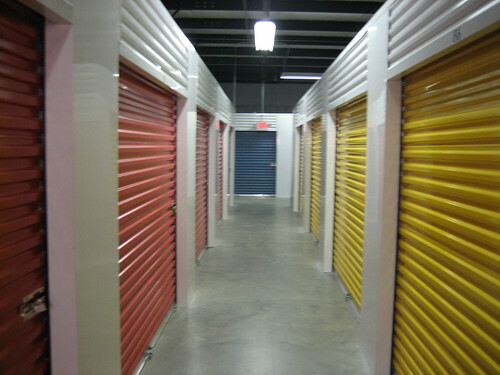 Who has access to the self-storage unit you rent? If you are worried that other people are able to access your self-storage unit, you need not be. The only person who has a key to the unit is you. Even the storage unit provider cannot see what you have placed in the unit. Once you have the key to the unit you can access it as and when you see fit. You may want to swap over the items you are storing, and it's fine for you to do so. As you are the only person who has a key to your self-storage unit your belongings are perfectly safe. The only time when anyone else can access the unit is if you fail to keep up with your rent payments. Let's take a look at this. When can the storage unit provider enter your unit? The only time the storage unit provider can access your unit is to seize goods to sell, if you fall behind on your rent payments. If you do miss payments you will be given the opportunity to catch up before this forced entry happens. You will also be advised that your items are to be sold, the sale will be mentioned in at least two newspapers and the sale will be held in public. This means that you can attend the sale and buy back your items; if you choose to do so. As you can see, using a self-storage unit is completely safe. You are the only person who has a key to the unit so you are the only person who can access it. You have the freedom to use the unit whenever you need to. The only time when there is any risk of someone entering the unit is if you do not pay rental fees that are due. If this happens, the storage unit provider can access your unit to seize goods but you have plenty of opportunity to intervene in the process, and pay what you owe.